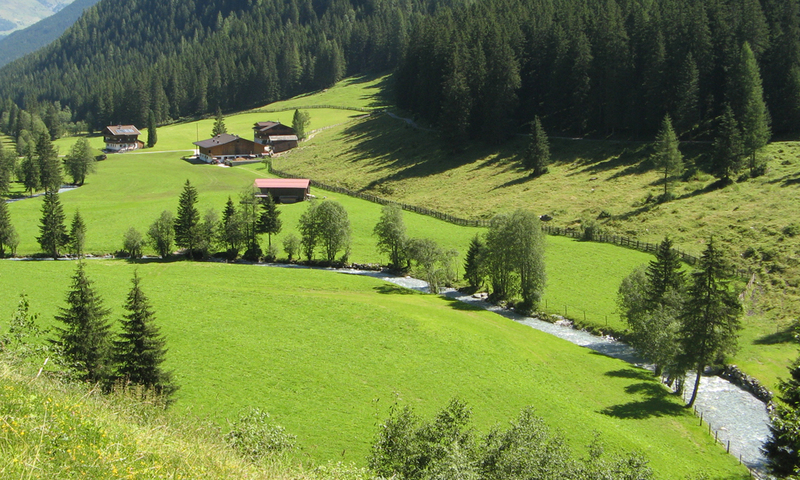 Alpine fly fishing in a Tyrolean mountain stream! 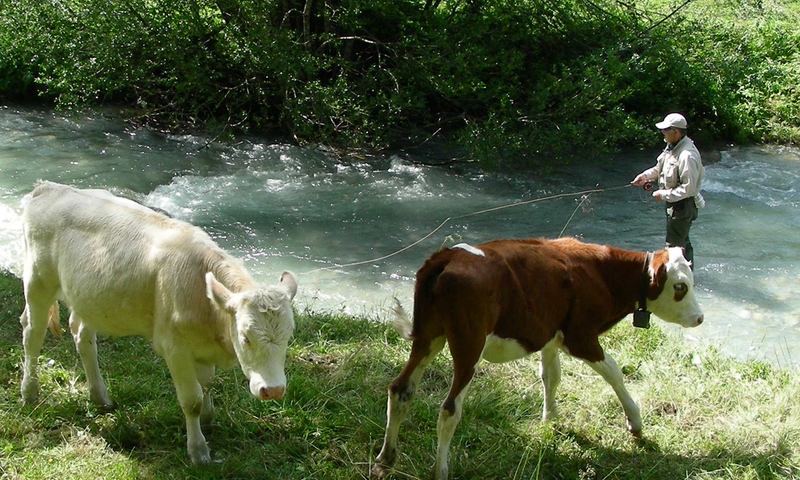 Discover the fascination of fly fishing in our very own private waters! 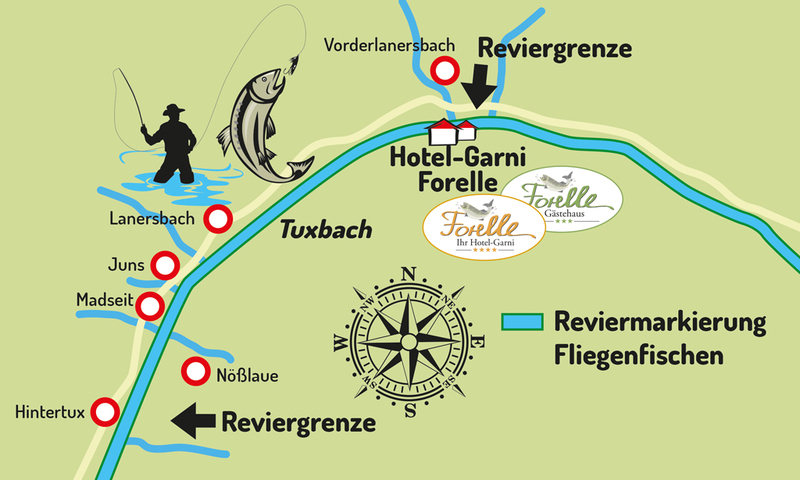 The winding Tuxbach River flows directly behind our Hotel Forelle on its 8 kilometre journey from Hintertux to Vorderlanersbach, the perfect habitat for rainbow and brook trout, as well as first class speckled trout. The waters of this 5 to 10 metre wide creek are freely accessible and can also be crossed when wearing wading boots. Both casting and fishing are therefore a pleasure for beginners, as well as the more experienced angler. We specialise in the art of fly fishing between June and October and are more than happy to show you how to land fish weighing between 250 and 600 grams during our very own beginner's courses. Forelle-Tux fishing licence, exclusively for our house guests! with one of the best fly fishing Instructorunter Jean-Paul Buttigieg. 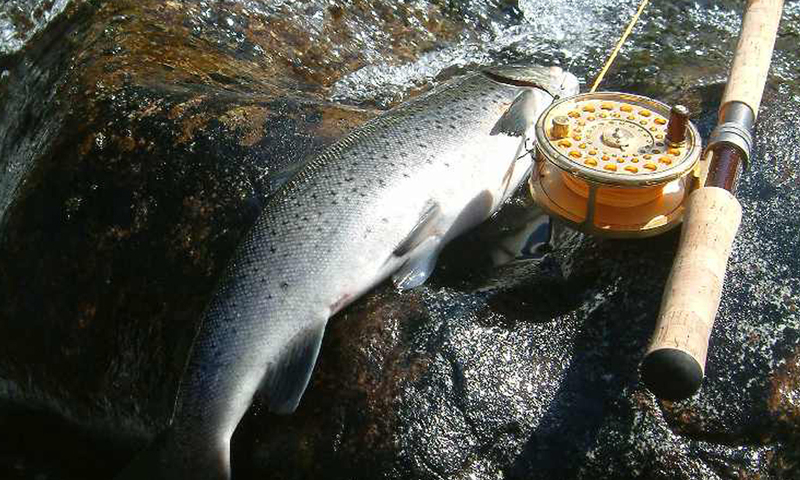 Fast and pocket waters fly fishing — Jean-Paul Buttigieg — Scott / Flyfish Europe.